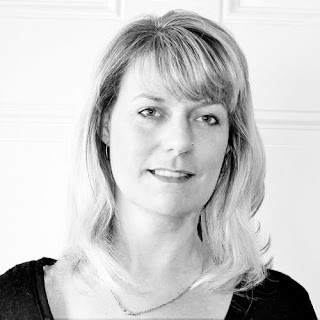 Today I have an International Guest Designer that I am sure we all have a few of her Sketch designs pinned on Pinterest. This lady knows her layouts and this one is no exception. "Hello! 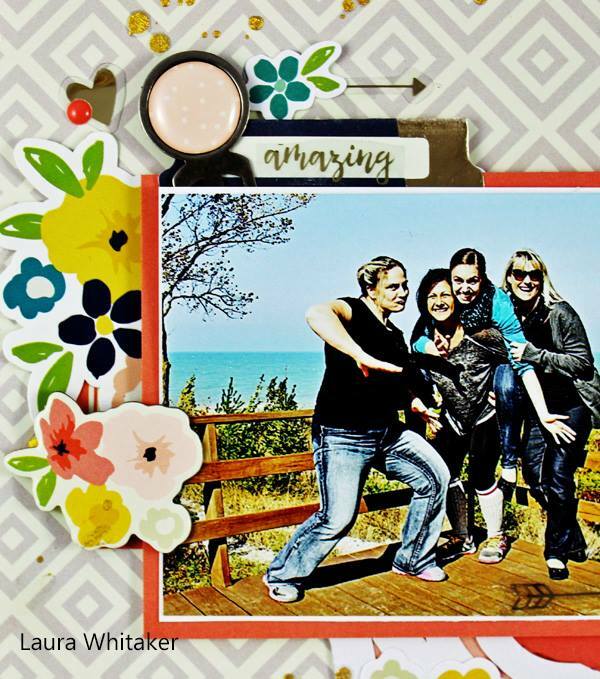 My name is Laura Whitaker; I live in Ontario, Canada in a tiny lakeside community with my husband. We have three sons, two of which are grown and live on their own and one that is at home with us. 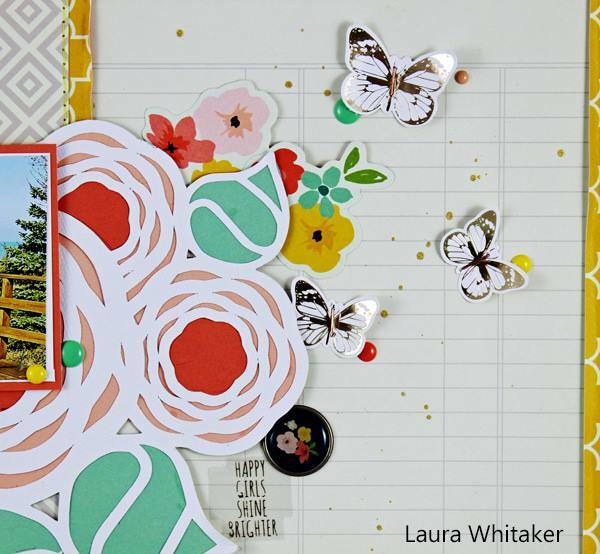 My passion for scrapbooking and papercrafting began about fifteen years ago and is still going strong! 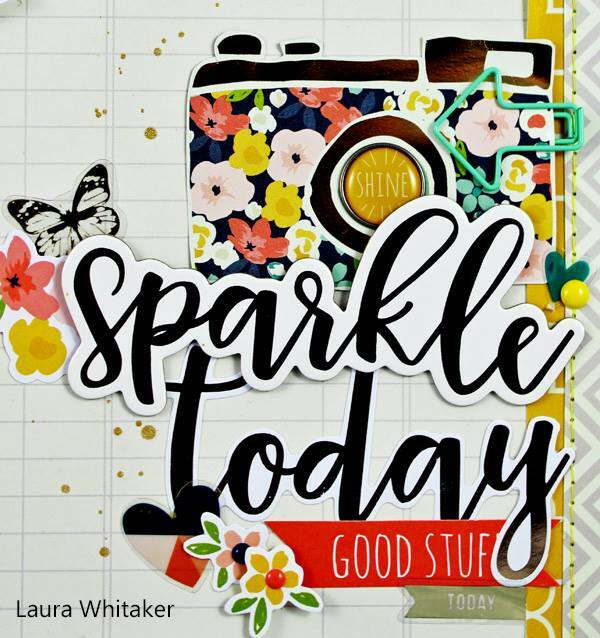 Through scrapbooking, I feel I can accomplish two things; a family memory album (or many) and an outlet for my creative side. I love that this is such a social hobby and feel blessed to have made many friends through scrapbooking. 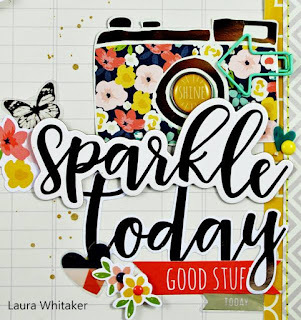 I love layers of patterned papers, embellishments of any type, creating sketches and playing with my Silhouette software. I am thrilled to be guesting here at Scrap the Girls! 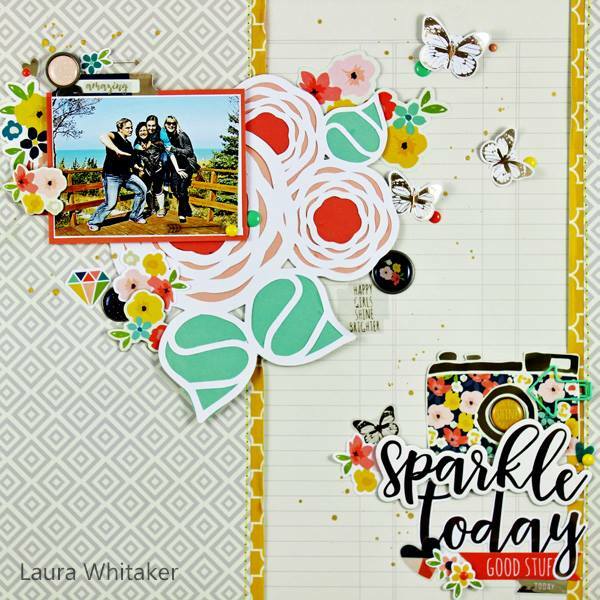 You can find more of my creations my blog here: http://scrappinaroundtheclock.blogspot.com/"
How is your layout coming along for this months challenge. We all have a "Selfie" or two floating around. 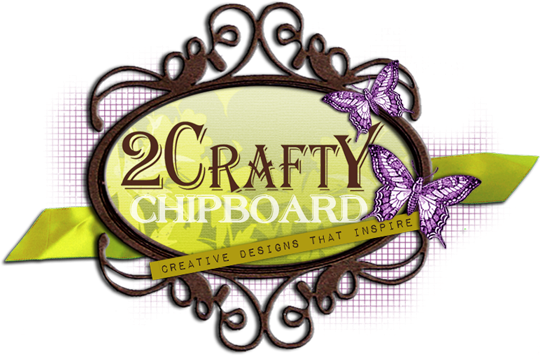 Make sure you link up to go in the draw for a prize pack from this months sponsor - 2Crafty Chipboard. Remember, you can always share your layout on the Facebook wall if you don't have a blog. Hi Laura,love this page, so crisp and clean and yet colorful! I was in Ontario myself in Jan this year. we stayed a few days in Perth, near Smith's Falls. we had such a lovely time!! I enjoy your sketch challenge site too!